Bootleg: Butcher Babies in Moscow! Bootleg: “Monsters Ball” from Butcher Babies! 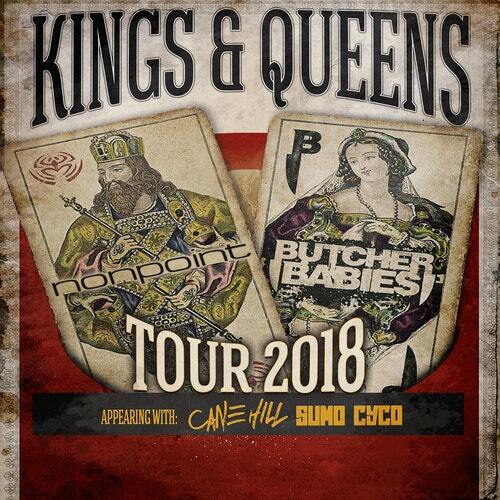 Captured on their “Kings & Queens Tour” with Sumo Cyco, Nonpoint, Islander & Cane Hill, here’s Butcher Babies performance of “Monsters Ball” from their second album “Take It Like A Man”. The group’s current effort “Lilith” is out now via Century Media. Check out our review! Playlist: Butcher Babies Raraties Collection! 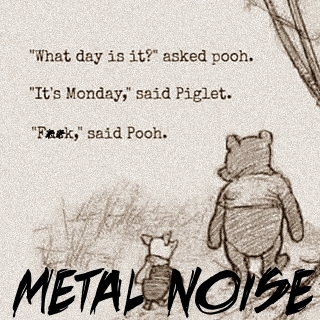 Monday morning is here again. Yuk. Let’s have a random selection of Butcher Babies rarities to lift the spirits (sadly not a bottle of). Carla Harvey joins the Ultimate Jam Night crew at The Whiskey for a cover of “Ace Of Spades” by Motorhead, while Heidi Shepherd does to same for “Bodies” by Drowning Pool. NEWS: “Look What We’ve Done” video from Butcher Babies! Butcher Babies have released an extended video for “Look What We’ve Done” from their third album “Lilith” which is out now via Century Media. The nearly 10 minute affair covers off the bands recent touring activities in small segments and makes for interesting viewing. Feel free to check out our review of the album. Filmed at the recent Monster Energy California Rebellion Festival, here’s a full acoustic set from Butcher Babies from the Zippo Encore stage. The annual event takes place at Rock City Campgrounds at Charlotte Motor Speedway in Concord, North Carolina. 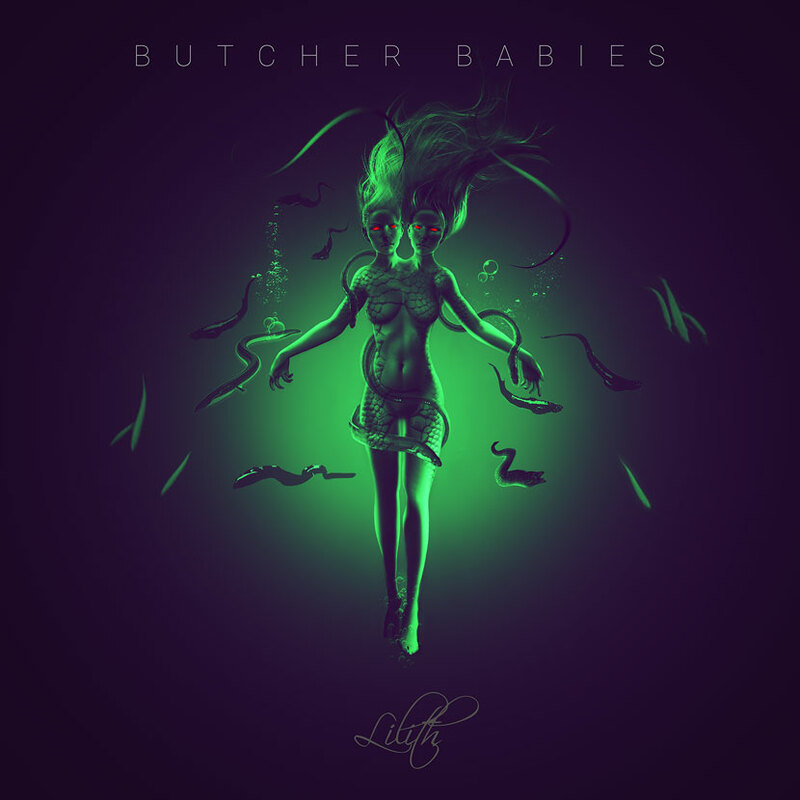 Butcher Babies third album “Lilith”, their first with new drummer Chase Brickenden, is out now via Century Media. Bootleg: Butcher Babies perform “Lilith” in London! Live Review: Butcher Babies w/Eyes Set To Kill & Klogr @ The Tufnell Park Dome, London 04/03/2018! Bootleg: Acoustic performance of “Headspin” from Butcher Babies! Bootleg: Butcher Babies perform acoustic “In Denial”! Butcher Babies performed an acoustic version of their song “In Denial” from their 2016 album “Take It Like A Man” for VIP fans at G2 in Glasgow Scotland show of their current UK tour run. Wobbly cam footage but reasonable audio of the performance was captured below. The bands current album “Lilith” is out now! 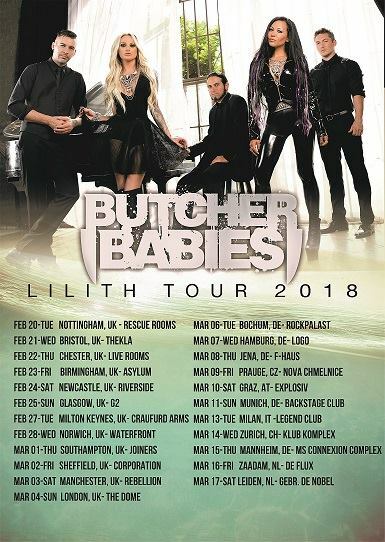 NEWS: Butcher Babies to tour the UK in February & March!